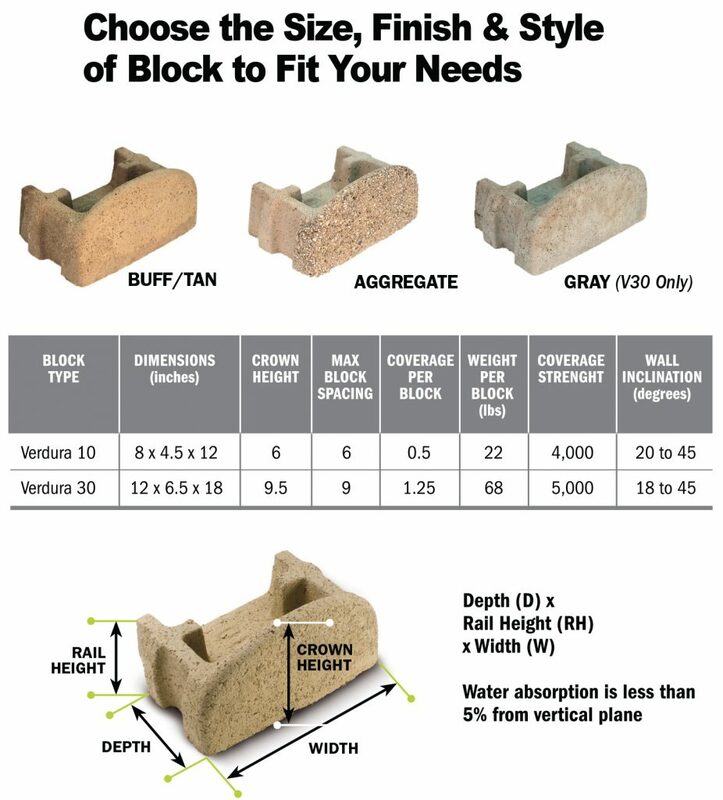 Lightweight (22lb) block available through our distributors. Rails on block are set back to allow for a butted up 3′ radius. Applications include: edging, planter beds, and small retaining walls. Heavier (68lb) block available through our distributors. Standard designs accommodate walls up to 8′ high using Posi-Dura® reinforcement where required. Walls up to 22′ can be engineered.